Experienced executive Scott Damron reveals the ups and downs of the entrepreneur lifestyle. ATLANTA, GEORGIA, UNITED STATES, November 6, 2018 /EINPresswire.com/ -- Many people, both in the U.S. and around the world, aspire to live the entrepreneur lifestyle. Seen as exciting, creative, and with the added benefit of being your own boss, it's an attractive prospect for many millions of individuals, day in and day out, according to Scott Damron. An experienced executive and serial entrepreneur with a business background in sales, business development, and marketing strategy from Atlanta, Georgia, Scott Damron is well aware of the benefits and perks of becoming a successful entrepreneur. "However," he says, "it's not always easy, and there are often many obstacles to overcome, especially in the beginning." 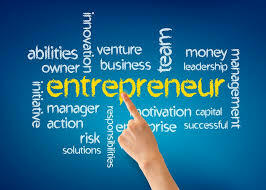 Scott Damron suggests that any aspiring entrepreneur should remember five key points. "Being a successful entrepreneur takes hard work, and self-motivation is key," he says. Scott Damron of Atlanta also points toward the power of mentoring, a focus on progress, and the drive to continue learning. "Being an entrepreneur takes hard work and discipline," says Scott Damron Atlanta - based business professional. "As an entrepreneur, you'll almost certainly work harder than you ever have before, but for those who are passionate about the lifestyle, it's totally worth the effort." Similarly, to be a successful entrepreneur, self-motivation is critical, says Damron. "Any entrepreneur must maintain a high level of energy and enthusiasm to get their business off the ground," he explains, adding that setting specific goals is an excellent way to effectively maintain motivation levels and remain inspired. Damron is also keen to stress the importance of mentoring. "A successful mentor can offer not just guidance, but clarity – two things which are vital when starting out," he explains, also highlighting how a mentor can steer an aspiring entrepreneur away from potential pitfalls, having already followed the same path themselves. Next, Damron explains why a focus on progress is essential. "A firm focus on progress, and not necessarily on perfection, is vital. Striving for absolute perfection at every step can leave even an experienced entrepreneur feeling deflated or disappointed when mistakes happen, or things don't quite work out," he reveals. "Aim for progress, first and foremost," Damron continues, "learning from the bumps in the road and remembering that perfection can always be achieved down the line once successful progress has been made." Lastly, he highlights perhaps his most important and impassioned point. "Never stop learning," advises Damron. "Among the most valuable assets for any entrepreneur is a wisdom gained through an appetite for knowledge," he adds, wrapping up, "and it's entirely my belief that a thirst for learning leads to an open mind, which in turn leads to greater opportunities both in business and in life."